Part of keeping my family happy is changing old favorite recipes into meals we can eat even with our many food restrictions. 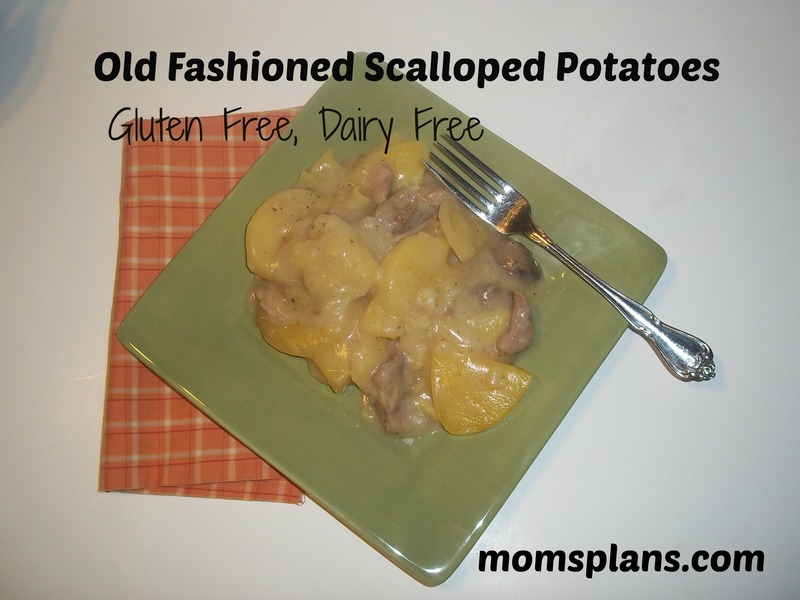 Last week we had leftover pork, so I experimented with making an old family recipe, scalloped potatoes, dairy free and gluten free. It was a hit! The kids have already asked if they can have it again next week, and even better, it’s a fairly frugal recipe. In a large skillet, melt the butter over medium low and then add the flour. Stir until combined. Slowly add the broth, making sure there are no lumps. When the sauce is smooth, gradually add more broth until it’s all incorporated. Stir until the mixture comes to a boil and then stir constantly until it is thickened. Set aside and peel and slice the potatoes. Cover with 1/3 of the sauce, making sure the potatoes and meat are covered. Finally, top with the last 1/3 of the potatoes and the rest of the sauce.